Reputation is what people will find about you and your company Online. Is your Reputation Good – Non-Existent – or Bad? That’s what we are talking about today – hopefully you have a good reputation. If you have a non-existent one we can help you out with that, and if you have a bad one we can give you some tips to turn that around. I see a lot of companies that get negative reviews. Sometimes they are from real customers but often it seems they are from trolls or competitors. How do we handle these type of reviews? This question was asked by Rusty Lee of Call My PC Doctor. Taking Responsibility Is the first step to resolving your customer concerns. Apologize Admitting that you are wrong isn’t easy for anyone, but it is important to swallow your pride and acknowledge any wrongdoing. If there is a wrongdoing. Respond Calmly You could have someone who isn’t directly involved in the situation respond to the complaint. Let cooler heads prevail rather than exacerbate the situation. Offer A Proactive Solution Show that you’ve put some thought into the problem and offer a way that you can fix it. This could be something specific to that customer or it could be tweaking one of your business processes to make it better. Take The Conversation Offline Provide the customer with a way to contact a high position person in the business that will follow-up on the situation until it is resolved. Rusty – That makes sense for a legitimate customer – but what if it is a troll that is putting false information out there? Dotty – Some review sites will allow you to report the review and they will review it and determine if it should be removed. Yelp will allow you to do this and they will remove reviews if they are inflammatory, against their review policy, of use fowl language. Your other option, which is something you should do for all reviews, is to respond to the review and address the concerns. Just make sure the response is positive. Tip: Online Reputation is really not optional. It used to be you had the option of choosing if you wanted to be Online or not. Right now it is really not optional. What people say about you and your company will happen whether you are involved or not. You want to be sure that you are in control of what is said Online. 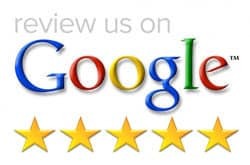 Be sure you claim your business listing on all the Review sites. This gives you the ability to respond when a review comes through. That’s a great question. I would have to say it depends on your industry. If you are in the tech industry – or some industry that posts technical issues on the blog – the comments are really useful because they carry on the conversation for the question of issue posted. If that is not the case for you and you are in an industry that does not really attract comments, or the ones that are attracted are comment spam – then you can turn off your comments and not affect your Online Reputation at all. How much of an impact do reviews really make? Question by Jean Koncos of At Vancouver Massage. To answer this question I am going to share a story with you. I have a friend that is in the construction industry. He has a website, but it is horrible and not found on the Internet at all. Someone could Google the name of his business and it would not show up. No leads come from his website – however he get several calls per day from Internet leads. When he asks how they found him (which he does for all calls) they say they read his reviews on either Google or Yelp and decided to call based upon what other people have written. For him reviews are a HUGE impact for his business. What do you do when someone posts something on Social Media that you do not feel is 100% correct? Question submitted by Dave Frank of Frank Insurance Group. One of two things – depending on how incorrect it is. I would respond to the post with the correct information. Thank the person for posting and add the correct information. If you feel it is more like a harassment post then you can report the post to the platform, and they will usually take it down. I know Facebook will remove any reported post – if it happened to be put out through someone’s timeline before it was reported the link will go to a page with a message that reads this post is no longer available. If it is a post form someone else’s business you might engage in the post and ask questions while tagging the business owner. This will bring it to the attention of the business owner and give them a chance to verify the information. The engagement will help the business owner. Tip: Create an Online presence in a social media platform – then engage. Be sure to focus on engagement. It is the engagement and conversations that is going to help with your online reputation. It will also help customers understand who you are. I have a hypnotherapy business here in POrtland and would like to use my blog to show myself as an expert. How can I use articles that are already written? Question submitted by Kimball at City of Roses Hypnosis. That is a great question; especially if you are using articles from a source that is already an authority – at least within your industry. What I teach people to do is to read the article, then on your blog you are going to do a summary in your own words. Then comment or give your own thoughts to the topic. At the bottom of your post you can link to the original article so your readers can read it if they choose. Using this format your post will be 100% different from the original article that is Online. Kimball – So it is important to have new content – not just copying someone else? Dotty – Google is smart enough to know who created the content first and they will get the ranking for it. By following this method your content will get ranked for the proper keywords which will benefit your website and Online Reputation. Kimball – Someone suggested you can create several at one time. Dotty – WordPress does allow you to schedule posts. So if you have a few hours of time to create blog posts you can do several and set them to post at different times in the future. Tip: When faced with a critic Online – avoid public arguments. Encourage them to take the conversation offline. Give them a way to contact you directly so you can resolve the issue with them. Be sure to do it in a positive way to deflate the situation. There are websites where you can post articles or press releases Online. Press Releases need to be newsworthy – something new that you business is offering, a grand opening, a milestone anniversary, an event coming up etc. You can make news announcements on PR.com, newswire.com, and prnewswire.com. The reason you would want to use these websites – it goes back to controlling what people see Online about you or your business. When someone searches for you or your business you want them to find many different things Online – not just your website. Everybody knows you control your website. All of these other places are great to have a variety of things come up ion a search. My organization has not started getting a good reputation. What is a good strategy for starting? Question submitted by Chriss of the Fort Vancouver Lions. I would always start with Reviews. The top 3 review sites are Google, Yelp, then Facebook. Open an account for the organization in all of these platforms. Then enable reviews – then I would even go one step further to make it easy for people to leave you a review. Add an image or icon for the platform on your website that links right to where people will leave a review. Since your organization has members already – I would ask your members to leave reviews to get the ball rolling. I would also ask the public for reviews when you are out doing fundraisers or service projects. Tip: Publish articles on your blog or on other websites. A good website to publish to (in addition to your website or blog) is HubPages. The whole purpose is to have articles in many locations so you control what people see about you and your business. You can use sites like About.me, Strikingly.com and Manta.com. Social media sites can also be used in this way. Really any place where you can have a robust profile. Again the idea is to have many places where people can find you Online and have them all link back to your website. Be sure you have profiles on LinkedIn, Facebook, Twitter, Instagram, and others. If you have a visual business do not forget Pinterest. If you use video be sure you are on Youtube and Vimeo. Often times videos will rank higher and quicker in a search engine than blog posts.